Keep sterile environments clean and germ free with these EPA-compliant germicidal wipes. 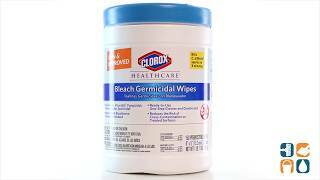 No pre-cleaning needed, Clorox Germicidal Wipes kill C. difficile spores in 3 minutes, bacteria and 14 viruses in 30 seconds to 1 minute and TB and fungi in 3 minutes. 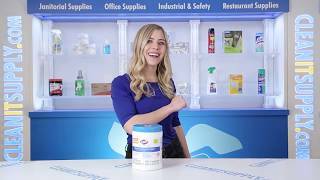 Tested for safety on common healthcare surfaces and equipment, these wipes are ideal for hospitals, schools and healthcare centers. Each canister includes 150 wipes. Call today to order. Order more and save more! I use this in the bathroom to wipe down sink, toilet seat, etc.. this gives me a "extra clean sense" when using my bathroom. I love this product!